One of the world’s biggest gold refineries is under construction at Dubai Multi Commodities Centre. When completed next year, it will help to alter the balance of power in the global gold industry. While the growth in global demand for gold is shifting east to Asia’s fast-growing economies, key industry activities like refining and clearing remain dominated by Europe and the United States. But the construction of a new 60 million dollar refinery, by Kaloti Precious Metals, is part of efforts to change that pattern. So is the plan by the Dubai Gold and Commodities Exchange to introduce a spot gold contract this June. 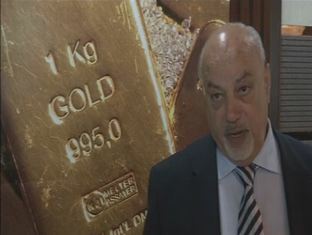 Munir al Kaloti, who’s president and founder of Kaloti Precious metals, says Dubai currently represents only 11 percent of the world’s gold business but by 2020 this percentage is expected to grow to around 40 percent, becoming one the highest in the world. Kaloti’s new refinery will have an annual capacity of 1,400 tonnes of gold making it more than three times the size of any of the UAE’s current refineries. Current annual capacity in the United Arab Emirates is about eight hundred tonnes, including a 450-tonne refinery already operated by Kaloti. Switzerland dominates the industry with over 3,000 tonnes, accounting for roughly 50 percent or more of global refining. But nearly 40 percent of the world’s physical gold trade passed through Dubai last year, according to the Dubai Multi Commodities Centre. The value of gold import and export contracts handled by Dubai has soared from 6 billion dollars in 2003, to 75 billion this year. Dubai’s drive to develop exchange-based trading may be as important to its growth as a gold centre as expansion of its refining capacity. In April, the Dubai Gold and Commodities Exchange, which currently trades gold futures, said it would introduce a spot gold contract this June. The exchange is in the final stages of finalising specifications but the contract is expected to be for 1 kg of 0.995 purity gold, the type favoured by Indian consumers and investors. If Dubai succeeds, it will be a new example of how the emirate can use its proximity to top consumers in India and China, its low-tax environment and highly developed transport sector to gain influence in industries traditional dominated by other players.